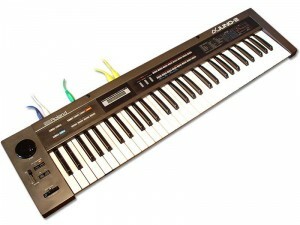 The Roland Alpha Junos was born as a mix between the old junos synth engine and layout and the dominating look of the Yamaha DX7, with touch membranes an push buttons and the infamous Alpha Dial (here comes the name Alpha Juno). 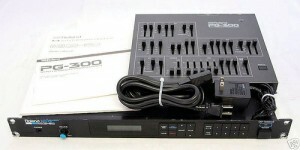 The absence of knobs or sliders at the time was considered sleek and futuristic (and even cheaper!) that’s way the alphas are quite overlooked today, but they are so much more than an old dark synth with an alpha dial.. The alpha juno (juno1, juno2 and mks50) is still a completely analog synth , with a really powerful and complex sounding DCO , a 24dB lopass filter, a multistage envelope, and the classic non resonant hpf, lfo and chorus common to the other juno family. The DCO is quite different from the prvious Junos, it has a various waveform to chose from for the saw and the pulse wave. In effect even the saw can be “PWMed” making it a really wide sounding dco. If you need an extra bass response turn up the sub osc and you’ll get a really punch in the bass range! The filter is a little different from the previous junos, first it’s resonant but does not reach self-oscillation (like the one on the Roland JX10P), it sounds a little harder and darker and creates really powerful sub bass frequencies. Apart from the lack of self oscillation this is a really good filter, it sounds liquid and can cut the sound with great precision but it’s not clinical or sterile. The ENV is part that makes the ALPHA serie stand up with the other Roland of the time. The env is an advanced ADSR with time and level, so it delivers really fast attack sounds using the T1 at zero and L1 at max, and T2 L2 as decay. For bass and percussive sounds is great because it can shape various attack and decay or sustain curves, being snappy or angular, at your will. For pads has a good “long time” for musical pads but even for drones. The LFO is quite basic , with the classic triangle wave only,with RATE and DELAY (reallly useful for leads or drones/pads). The interesting point is that the PWM wave has its own rate and does not use the lfo for the modulation of the width , so you canm have a very low sweep on filter and a fast mod on the PW. The CHORUS is, as on the other junos a trademark, and having a rate control instead of the previous models that had only 3 preset chorus (off-slow-fast) can create interesting sounds interacting with the rate of the pwm and of the sweeps or vibratos. The last TOP FEATURES , not present on the previous models are the “dynamics” control and the AFTERTOUCH over the filter cutoff control, VCA and the pitch control. This is a great addiction making the Alpha a more expressive synthetizer even with classic keyboards technics, but also a easier techno synth to be controlled by a sequequencer/daw, without using sysex if a filter motion is needed. All in all a great synth that can sound a little harder than the 60&106, but that retain all the warmth and power of the others juno with added features. Roland Alphajunos are overlooked today because of their lack of slider and knobs and their controller PG300 is hard to find and not cheap. The Behringer is a midi controller that can send even sysex messages, the old Roland Alphas work only with sysex messages so you have to map the BCR2000 with the learn function and a virtual pg300 programmer.